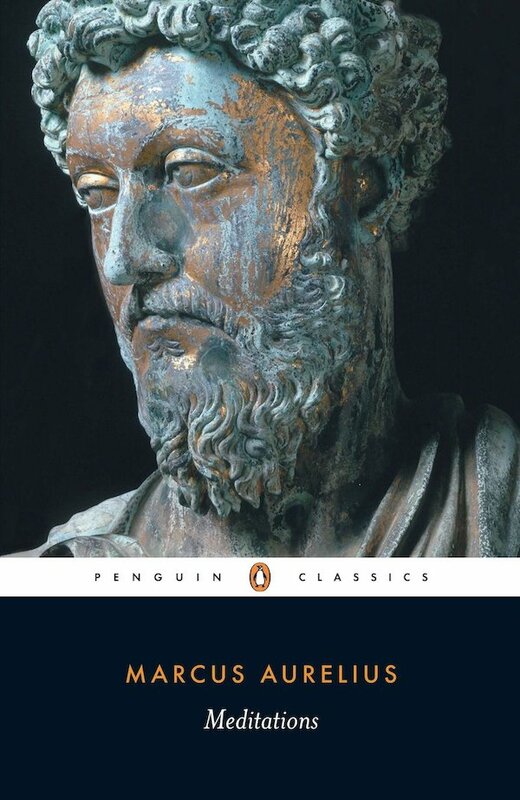 The nearly 2000 year old Meditations by Marcus Aurelius is likely the first ever entry in the “self help” publishing genre. During his last days as Roman Emperor, reigning from 161-180 AD, he wrote the 12 “books” that comprise the Meditations. It’s a personal journal he wrote to himself, never intended for publication, with thoughts, ruminations, reminders, and short stories from his life, all with the objective of serving his future self as a reminder of how to live and act. There’s not much of a thematic arc from book to book — each numbered paragraph entry largely stands on its own. Some are single, to-the-point declarations, some are longer stories about people in his life, including things he admired about them. As a practitioner of Stoic philosophy, many of the original players from the Stoic school are mentioned, and their belief system is present throughout. Aurelius was clearly a devout follower of the Stoics, at least later in life. The writing is full of great quips that are helpful for readers of any age or generation to remember what’s important and to direct attention in productive and meaningful ways. Aurelius counsels to live according to a set of principles, avoid distractions, don’t think about what other people think of you, and to maintain a rational mind without letting emotion overcome you. I doubt that he knew what “mindfulness” was in the way we think of it today, or that the Buddhist tradition has, but much of the writing speaks to the act of being “present” in the moment and not dwelling on the things outside of your control — just like the array of mindfulness practices. The same idea comes across, without the arcane English that muddies the meaning for the novice modern reader. I thoroughly enjoyed Meditations and it’s a quick read. It’s a great candidate to become regular reference material for self-reflection and meditation practice.